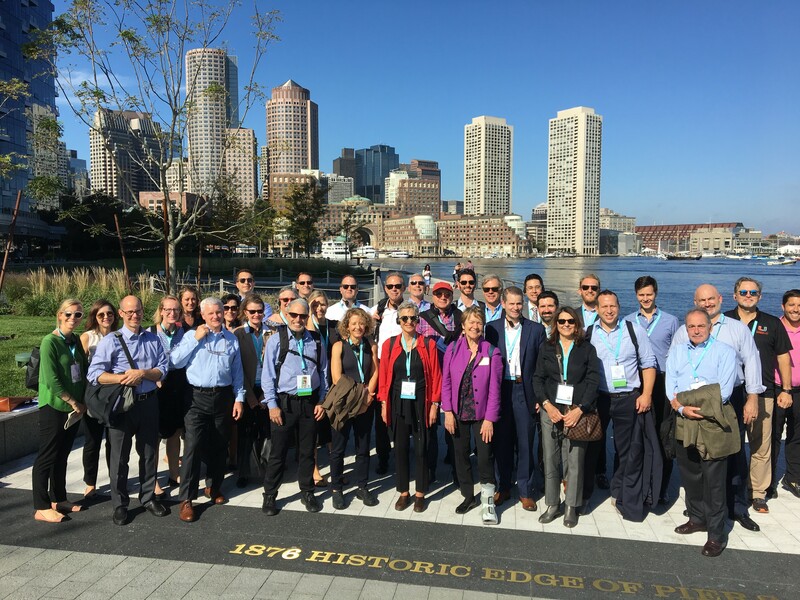 Tim Love was involved with two Urban Land Institute (ULI) events on Wednesday as part of the 2018 ULI Fall Meeting in Boston. In the morning, he led more than 30 members of the Placemaking Council on an animated tour of the Seaport. Tim’s long involvement with planning initiatives and on-call consulting in the area has given him a unique perspective on the key actors, the missed opportunities, and the urban design success stories. In the afternoon, Tim participated in a panel discussion as part of the ULI Public/Private Partnership Council’s day-long agenda. Tim shared his insights about the Utile-led Raymond L. Flynn Marine Park Master Plan Update as part of a general discussion about the history and future of the district. Sara Myerson, Director of Planning for the City of Boston, Rich McGuinness, Deputy Director for Climate Change and Environmental Planning for the City of Boston, and Tom Miller from Kavanagh Advisory Group, a developer working in the district, shared the stage with Tim.